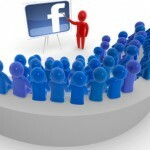 Marketing On Facebook And Twitter – Worth The Effort? 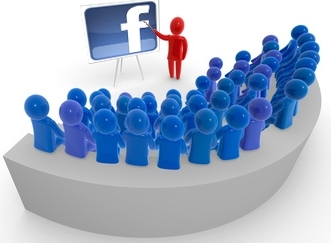 Is marketing on Facebook and Twitter actually worth the time? Naturally the answer is ‘it depends’ 😉 But seriously, it depends – like anything in marketing – if you can actually measure it. To me that means: measuring it in terms of its effect on the bottom-line of your business (see also my article on Social Media ROI). But first let me dispel a typical ‘Facebook Myths’: It is very unlikely that Facebook indeed has more than 900 Million active users (as claimed on their WikiPedia page (May 2012)). It’s more likely that the site has about 215 Million active users. You can easily extrapolite this from the Compete.com statistics (the site seems to be off by about 40% on average (based on the sites that I control)). Another myth is that user actually read your wall post. They don’t .. at least for the most part. The same holds true for tweets (see more Twitter stats here). OK, so with that out off the way, ask yourself what do you know about your customers (users, etc.). Do you even measure the engagement on your website and how it translates into revenue? If not, marketing on Facebook and Twitter should NOT be your priority. Finally, a (well meaning) warning: nothing is worse than starting something and than abandoning the effort. What do you think if you are looking at a blog, Facebook Page or Twitter account that has not been updated in months? (Chances are “this person/company must have died). Category: Search | Comments Off on Marketing On Facebook And Twitter – Worth The Effort?